This 18k leaf pendant is set with a small diamond. 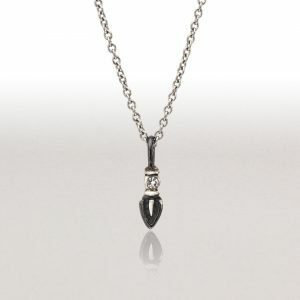 Wear it alone or try stacking other pendants with it for a lush look. 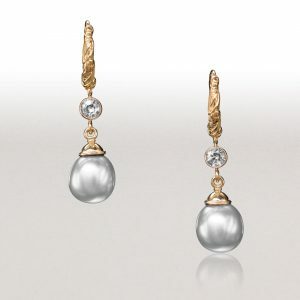 The price includes a gold-filled chain. 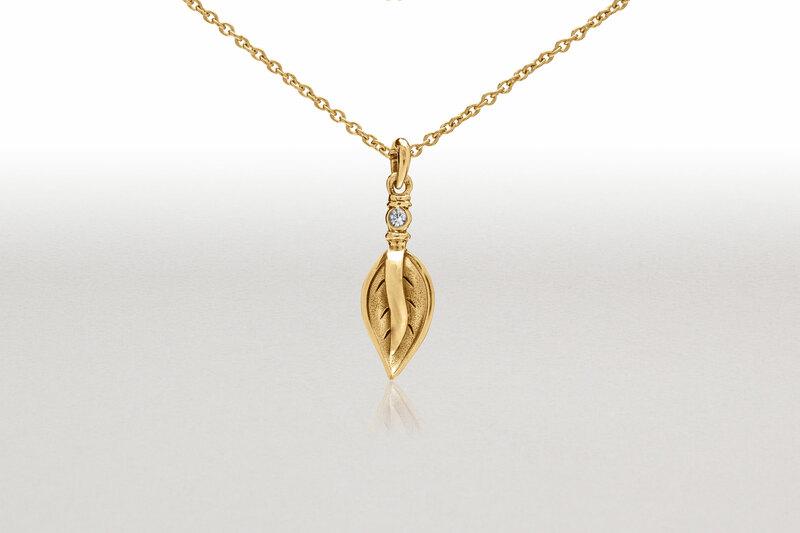 Leaf pendant accented with diamond can be ordered in 18k yellow, white or pink gold.